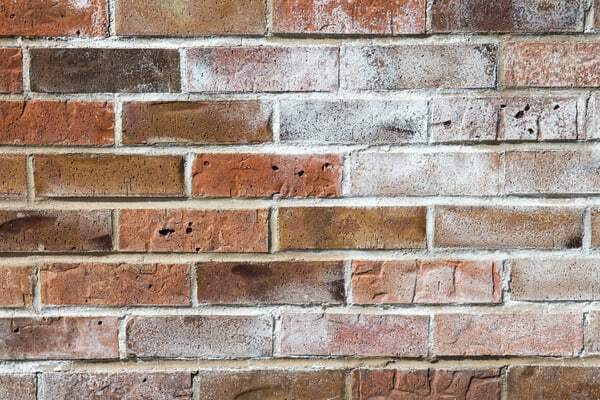 White minerals blooming on the surface of bricks and concrete are known as efflorescence. These deposits often appear without warning on freshly laid concrete and brick. Efflorescence begins as a white dusting on masonry surfaces. Left unchecked, this blight can grow into crystalline structures resembling plants or fine hairs. Fuzzy white deposits are frequently mistaken for white mold, and while both create similar eyesores on masonry, efflorescence is not a danger to public health like mold is. The blooming white substance is actually a mineral formation created by water evaporating from masonry, and it can be removed and treated by a specialist in basement repairs and renovations. What Causes Efflorescence in a Basement? Efflorescence forms on basement walls and floors because moisture is traveling through them, and is carrying dissolved minerals to the surface. 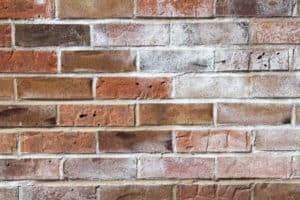 Brick and cement are porous, so some moisture is naturally moving through them at all times unless special sealants are applied. The masonry used to build basement walls and floors contains natural minerals like clay and limestone. As with all natural materials, there are often some harmless inclusions blended in with concrete or brick before they set. Some of these inclusions can break down with water, and travel to the surface of the brick or concrete as water evaporates. Salts like calcium carbonate are the most common causes of white efflorescence in basement concrete. In coastal areas, moist salty air and rain can accelerate the formation of efflorescence. In the winter, rocksalt can mix with melting snow and ice to work its way into the foundation of homes, especially those with poor drainage. The best way to prevent efflorescence in basement concrete is to have the surface professionally sealed. There are a variety of coatings with different price points and roles to fill. Acrylic sealers are a lightweight option. They work best on decorative concrete and surfaces that won’t see much wear, but won’t hold up to heavy foot traffic. Acrylic is like a topcoat, resting on top of the finished concrete. Epoxy sealers are often the preferred finishing coat for concrete. Their durability far surpasses the abilities of acrylic sealers. Penetrating sealers use a chemical formula that fills the pores in the concrete rather than building a barrier across the surface. There are a variety of high-performance penetrating sealers using different chemical make-ups. Penetrating sealers won’t keep the top surface as blemish-free as epoxy, but their performance in moisture and chemical resistance is far superior. Scrub brush and detergent: For minor cases, simply scrubbing the salts away with a household detergent can be enough to remove them. Hitting the spot with hot water will make it seem to vanish, but as soon as the water dries it will just reappear. Be sure to use a good detergent soap and lots of elbow grease when trying this approach. 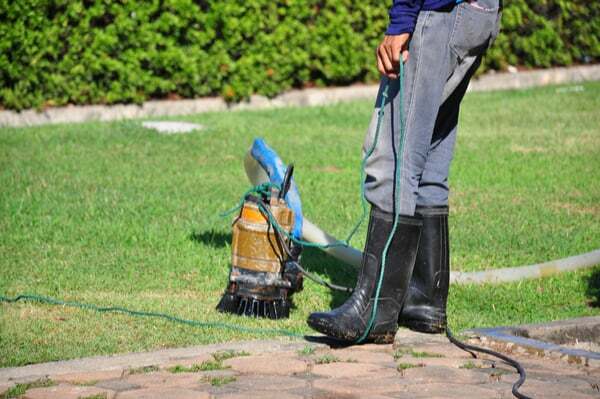 Pressure Washer: Stubborn efflorescence that won’t go away with a good scrubbing might respond to power-washing. This should never be done on any interior walls, but can be a useful approach for places like the aboveground portion of a foundation wall suffering efflorescence. Chemical Treatments: For severe and persistent efflorescence, it will often take a professional to renew the concrete’s surface. A wide variety of chemical treatments exist to treat efflorescence, including acids that etch the surface and a variety of less-dangerous chemicals designed specifically for the purpose. Please do not attempt to use acid treatments on your own. They are available at many retail construction supply stores, and it might be tempting to avoid paying a professional to apply them. Acids require a full respirator and special clothing to safely handle, and a must be safely neutralized once applied. These chemicals can melt the skin from your bones and the fumes can kill you if handled improperly. Your life is worth more than a clean basement wall. Should I be concerned about efflorescence in basement concrete? Yes, because efflorescence is a sign that something is wrong with your basement’s moisture management. By itself, efflorescence is just a cosmetic issue. White mineral splotches on the concrete don’t cause structural damage and they don’t make people sick, but they’re evidence that something is going wrong behind the surface. Does efflorescence mean that you have a leaky basement wall? It definitely could. You’ll need a contractor who handles basement repairs to assess the problem. Foundation cracks or poor drainage could be causing a lot of moisture movement in your concrete and raising the chances of structural water damage. Minerals working their way to the surface of brick or concrete are a natural phenomenon, so a little spot of efflorescence probably isn’t a leaking foundation. Properly sealed walls shouldn’t look like they were spray-painted white, and severe efflorescence is probably a result of water leaking in somewhere. It could be a basement wall issue, or it could be another poor drainage issue like gutters or a leaking sprinkler line. Your contractor should be able to determine the issue and find a solution to keep your basement efflorescence free. Efflorescence should not stop you from finishing a basement. A contractor should remove severe deposits and properly seal any concrete before moving forward with a basement remodeling. The problem should never be ignored, since moisture can easily ruin a newly finished basement. Once the efflorescence is removed and the surface is treated, there should be no problem framing walls and installing flooring. Does Your Basement Have Efflorescence? If you want professional help to assess and treat mineral bloom on your basement walls, call Dry Basement Solutions at 609-647-4555 for a consultation. With over 25 years of experience, this local family-run company is ready to help with your basement repair and remodeling needs. A sump pump is a pump that is commonly used for water removal from basements. Sump pumps remove excess water that collects in a basement and prevent it from rising and entering a home. Water may enter a basement and collect in a sump basin due to rain, or natural groundwater if your local groundwater table level is above the foundation of your home. When/Why Do You Need a Sump Pump? Sump pumps are used in locations where basement flooding is common and move collected water away from a basement to storm drains or dry wells. A sump pump is very important on a property where basement flooding is common due to high groundwater tables, heavy rain, or even rapidly melting snow. In the absence of a sump pump, your basement and home could flood, causing damage to the infrastructure of your home that will cost a lot of money to repair. 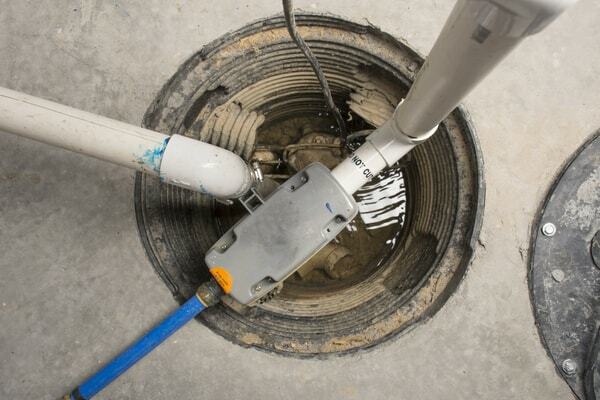 A sump pump is typically installed in the lowest part of your basement, or crawlspace. A hole is cut out in your concrete floor, which becomes the sump basin (a.k.a. The sump pit). A pipe is attached to the pit that directs the water to be released away from the foundation, preventing the water from re-entering the basement, and sump basin. Following an event of flooding, heavy rain, rapidly melting snow, etc, your sump pump will be working to prevent the water entering your basement from collecting, and flooding. Most sump pumps are activated by a float. Once the water collects and rises to a certain level, the float attached to the pump will lift, and automatically activate a switch that causes the pump to run and dispel water. Buying a properly sized pump is very important to ensure that your sump pump meets your property’s specific needs, and lasts a long time. Most homeowners that live in an average sized house surrounded by an unremarkable water table will not need a pump bigger than 1/3 horsepower. This is the most commonly purchased size pump is very versatile and that can easily handle most applications. If an average sized home is located in an area where the water table is remarkably above average, then a 1/2 horsepower pump will function better in certain situations, where heavy flooding needs to be dispersed in short amounts of time, or through higher vertical lifts. Very rarely will you need a pump bigger than ½ HP. For areas that are very susceptible to flooding and that are surrounded by very high water tables, or floodplains, a ¾ horsepower pump will serve your needs best. Of course, with the increased power with the ¾ pump, you will also gain an increased horizontal run capability (150-200 ft.), and vertical lift power (20-30 ft). How Long Should a Sump Pump Run? A sump pump should automatically run only as often as needed. The float on the pump will automatically lift and activate the pump once the water level in the sump pit reaches a certain level, at which point the float will drop back down when the water is dispersed, and the pump will turn off. If your pump is running constantly with no specific reason why then you may have a problem with your pump. You should inspect your pump and make sure that the float is not stuck, or propped up against something, such as debris. If the float lifts and debris gets under it, it can leave the switch on, leaving your pump constantly running. The float switch can also get jammed or clogged, so make sure to inspect it well and make sure the float is not the issue. If there does not seem to be an issue with your float switch, then there may be a problem with the check valve. A check valve is installed on a sump pump to make sure that water that is pumped out of your basement does not come back into the basement. If your check valve is broken or if it wasn’t installed correctly, water that is pumped out will only continuously come back in, causing your pump to activate again and cause a rinse-and-repeat process. If you have inspected your float switch and your check valve and haven’t discovered any issues, your pump or liner may be the wrong size, which is preventing the water from being drained at consistent, proper rates. Contact a basement waterproofing company if this is your issue, or if you still can’t figure out what the issue may be. How Do You Clean and Maintain a Sump Pump? Remove the pump from the sump pit, and make sure there is no debris in the pit, or discharge pipe. Inspect the float, and make sure there is nothing obstructing it from freely moving up and down. Inspect the intake screen on the pump for any obstructions and/or debris. Make sure the pump is plugged into a working GFCI outlet, and make sure the power chord is in good shape. Test the pump by pouring a bucket of water into the pit, and watch the pump activate and drain the water out quickly. If your pump has a backup battery, unplug your pump from the outlet and test it that way to make sure the battery is working as well. Replace your battery every 2-3 years, or as recommended by the battery’s manufacturer. It is also best if you occasionally disconnect your sump pump from the power and the discharge pipe, take it outside and rinse it off with a garden hose to remove all sludge, dirt and debris. How Long Should a Sump Pump Last? If properly maintained, a sump pump should last a minimum of 5-10 years. However, the lifespan varies from each manufacturer, pump model, and even the horsepower of the pump. Your pump’s lifespan may be shorter if you are not maintaining/cleaning it, if you are allowing debris to go through the pump often, or if your pump size is too small for your property’s needs. Your pump may also be overworking if your check valve or float is broken or stuck, leaving your pump on for longer, unnecessary amounts of time (as mentioned before). If you don’t know how old your pump is, just pay close attention to how it’s operating, and make sure to maintain and check it more often than you would if you knew the age of the pump. The key to making a pump last a long time is to properly maintain it as per the pump’s manual, and cleaning if often. If your pump seems to be getting the job done, and you aren’t noticing any water collecting in your basement after rain or in general, then your pump is still working fine. It is very easy to test your sump pump. Testing the pump is as simple as making sure its plugged in while emptying a bucket of water into the sump pit, and watching to see if your pump will automatically activate and remove the water at a quick pace. If your pump seems to be struggling to remove the water, or it’s removing the water very slowly (even after simple maintenance), then it may likely be time to replace your sump pump. If you have any other questions about sump pumps, or if you need a sump pump replaced or installed in your basement, contact us today. Hurricanes. Forest Fires. Tsunamis. Earthquakes. No matter where you live, there’s a dreaded natural disaster, the hundred-year act of nature that can destroy your home. But most people don’t know that the most sinister foe to a home’s survival rests just below their feet. The hidden enemy that silently destroys foundations: Expansive Soil. Expansive soils are clay deposits packed with hydrophilic minerals. These minerals are very similar to the silica beads sold at hardware stores to control humidity in garages and basements. Expansive clays swell with water, compressing everything around them. Through hydraulic pressure, these swollen clays create immense pressure. 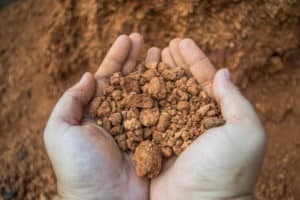 According to geologists at Louisiana Tech University, the average expansive clay will generate over 5,500 pounds per square foot of pressure as it swells. That means during wet weather, walls set in expansive clay must bear over two additional tons of lateral force. These clays can expand to over twice their size when wet, and any structure built atop these clays will move with them. 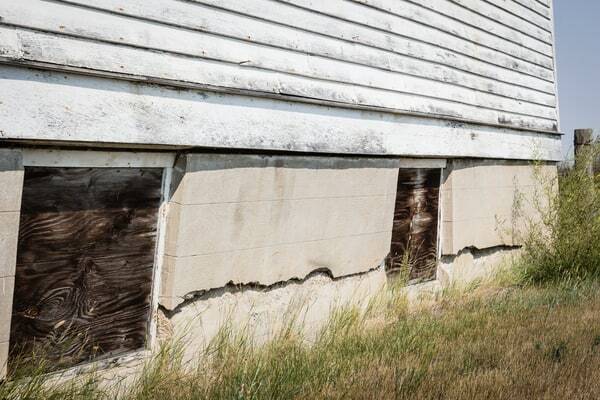 When these clay deposits press on concrete foundations, they often cause devastating cracks and allow water a path to infiltrate your home’s foundation. Why haven’t I heard of this before? Continued expansion and contraction fatigues the structural components of your home. Stress fractures in concrete slabs and cinder block walls can spread unseen until major damage has occurred. The best way to prevent damage from expansive soil damage is to account for expansive soil’s properties before a home is built. To do this, steps should be taken to keep the soil around a home’s foundation at a consistent moisture level. 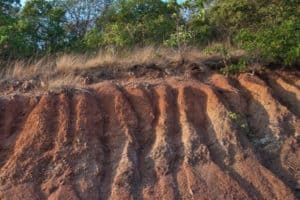 On soils with a little clay, building the home at the top of a slope is ideal. Water will naturally run down-grade and away from the foundation. Soils with a heavy mix of clay can combine building the home at the top of a grade with drainage systems, like a french drain around the foundation. All soils naturally swell when wet, and a good drainage system can reduce the difference between wet swells and dry shrinkage that damage foundations. If there is no option but to build a home on severely expansive soil, contractors can choose to backfill the area of a home’s foundation. First, the clay is excavated to a depth of several feet. Then a sandy, non-expansive soil is filled in. This is an effective solution, but it’s prohibitively expensive in many residential construction projects. Post-tension foundations are a much more cost-effective measure for building a home on expansive soil. This widely used approach involves steel tendons set into the foundation slabs of a home, which are tightened after the concrete sets. By turning the foundation slap into a giant torsion box, this construction method can create a foundation able to resist the damaging effects of soil expansion. Dr. Robert L. Parsons at the University of Kansas warns homeowners that while many focus on the soil as the cause for a damaged foundation, their landscaping decisions are often a major cause of the damage. Uneven expansion on one side of a home makes the expansion-contraction cycle of clay soils even worse. Common landscaping features can exacerbate uneven expansion and defeat the purpose of drainage systems installed during construction. Trees or shrubs planted near the edge of a home absorb water through their root systems. This dries the surrounding soil, and many homeowners imagine this might actually help to control the swelling clay soil their home sits on. Unfortunately, trees rarely help in these situations. They dry out the soil around their base, causing it to shrink and contract. The foundation near the tree will sink along with it, and this often causes cracks. Flowerbeds can cause exactly the opposite problem. Many people enjoy a neat rosegarden running across the front of their porch or along an exterior wall. The problem is, flower beds trap water by their very nature. Potting soil is supposed to stay moist and nutritious to plants. This means the clay beneath the bed will soak up more water as well. Homes with a garden along the outer foundation will thus often develop cracks in the foundation. If your home is already resting on a site with expansive clay soil, it’s best to use avoid landscaping decisions that trap moisture next to your home. All of the solutions above are great ways to prevent the problem from happening, but that’s no longer an option if a home has already been built on expansive soils and cracks are forming in the foundation. If that’s happening, there are steps a contractor can take to stop the damage from spreading and control expansion. If the home has no drainage solution, a French Drain installation might be appropriate to keep the clay’s moisture levels uniform. There are calcium oxide solutions (commonly called lime treatments) that can be pumped into the ground to stabilize expansive soils. These are often used on highway projects to keep the land under the roadway from buckling. More expensive polyurethane stabilizers, normally used on commercial projects, might also be used as a stop-gap measure. Subgrade irrigation systems can be installed to keep the soil at a consistent moisture level and limit expansion. Walls may need to be braced and reinforced, and limited backfilling of soil around the foundation might come into play. Whatever measure is taken to stall the expansion damage, the next step is to repair your foundation. A contractor familiar with basement waterproofing and repairs can assess the damage expansion has done to the foundation and help you decide what should be done to repair it. If your home is suffering from expansive soil damage, contact Dry Basement Solutions on their website or call 609.647.4555 for a consultation. With more than 25 years of experience in foundation repairs and drainage solutions, they can help save your home from the menace of expansive soil. Say you’re looking to add living space to your home. Where would you expand it? Turn an attic into a study? Knock down a wall and expand the kitchen out to where your back porch is now? Most home expansion projects involve very expensive and time-consuming modifications to a home, and for all that work don’t usually add that much living space. How about converting your crawlspace? A crawlspace might already seem like a short basement. They’re typically a foot to four feet deep. Structurally, crawlspaces are very similar to a basement as well. Concrete footings extend into the earth beneath a crawlspace like a full basement, and short foundation walls likely ring the crawlspace. Besides the height, these areas usually lack insulation, electrical outlets, HVAC vents, or a floor. So what can contractors do to convert this area into a livable space? from under your home. While this is happening, the foundation of the home must be carefully extended deeper and deeper. Working in small sections at a time so your home doesn’t collapse, the footings around your home must be excavated deeper and more concrete laid down. As the footings are being extended, new foundation walls must be poured as well. Eventually, the whole area will be walled and a floor can be poured too. After all this, drainage must be installed as well. An interior French drain is a popular option to make sure this new basement stays dry. Once all the excavation and concrete work is done, the crawlspace will be halfway to a basement. The second part of making a crawlspace into a useable living space is the carpentry and finishing work. 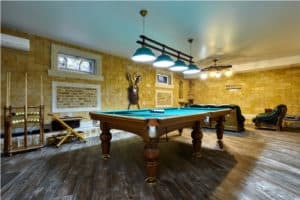 Here you have a lot of options, depending on your intentions for the basement. If you just want a bare, unfinished space for storage, the contractor will still need to add steps and lighting to the basement. Most people will at least want an entrance that leads into the home, but outside access is an option as well. An electrician can add basic lighting and outlets to the space as well. At this point, you have an unfinished basement with steps and lighting. Your home has much more usable space than it did before, but it’s bare and utilitarian. If you intend to use this space for more than a workshop or storage, the next step is having the basement fully finished. The area will be framed and drywall hung. Registers and air returns will need to be added to your home’s heating and cooling system. Your choice of flooring can be laid down over the concrete floor. Interior walls can be added and the space divided into rooms. By the time this is all done, the basement will act just like an additional floor to your home. Converting a crawlspace into a basement? Definitely not one of those projects. It’s a massive undertaking that requires a skilled team who knows everything from load-bearing concrete work to electrical and HVAC installation. Not only is it a technically challenging project, it’s also outright dangerous. Any mistakes could cause thousands of dollars of damage to your home. Ok, so maybe you’re best friends with Hercules or all your buddies agreed to help you move several tons of dirt, by hand, out of your basement. And you got your hands on all the tools needed for the cement work. And you arranged all the legal permits needed by your municipality. What do you know about pouring foundations? This isn’t like dropping in fence posts or mailboxes into a hole filled with Quikrete. A crawlspace conversion requires a structurally sound expansion of your home’s foundation nearly ten feet deep. The walls must be poured straight and true, the floor must be level, and it all must be done in a way that the whole thing doesn’t collapse under its own weight. The smallest construction error when doing this project could cause your house to sag and cost you tens of thousands of dollars in repairs. Unless you already build homes professionally, you don’t have the skills to safely do this project. Contact an experienced contractor to discuss your conversion plans, and leave this job to the professionals. A licensed and bonded contractor can do your conversion quicker, and with higher quality results, than you could ever get out of a DIY project. 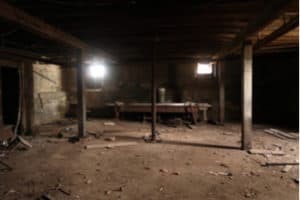 If you’re considering an expansion to your home, there are a number of reasons to consider converting your crawlspace into a finished basement. A basement added to a single story home can double your living space. Imagine how much it would cost to buy a new home twice as large as your current one or build an expansion that doubled your current floor space. Turning a crawlspace into a basement enlarges your home at a fraction of the price of a free-standing addition. It’s easy to outgrow your home. An unexpected child or an aging parent can quickly push the limits of your living space. New hobbies or collections can quickly eat up space you never knew you’d need when you bought the home. Even if the new basement is unfinished storage space, reducing clutter in the rest of your home can free up valuable floor space. Home additions carry a hidden cost that many people don’t consider until a tax assessor ruins their day. See, any major renovations are likely to raise your property’s value. If the expansion means adding hundreds of square feet to your home, this can add thousands of dollars in increased property taxes to the cost of the expansion. By choosing to have a crawlspace conversion, you can get all the benefits of an above ground home expansion without the massive tax penalty. Your property taxes are still likely to increase as with any major home expansion, but a crawlspace conversion can add a whole new floor to your home at only a fraction of the cost of an above-ground expansion.